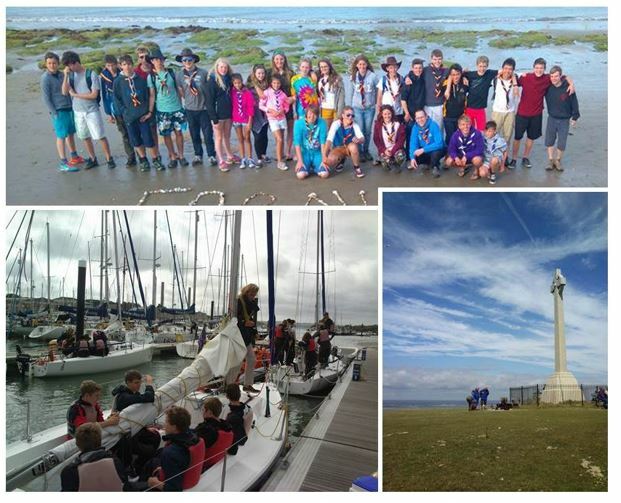 It’s been another entertaining and exciting year for Farnham Explorer Scouts. 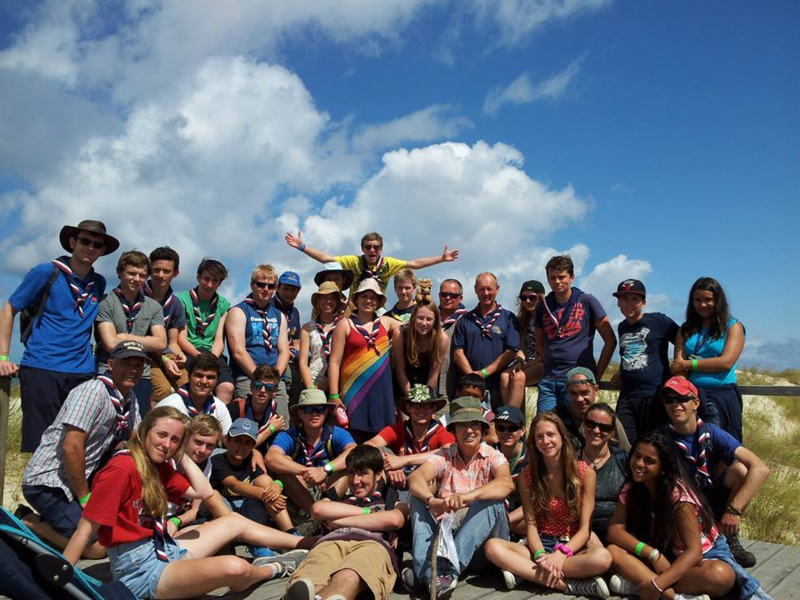 We’re the section after scouts, for those aged 14-18. We had a new unit start in September, Elstead “Eiger Tiger” Explorers, joining the existing three units in Hale, Guildford Road, and the Bourne. They have already built the unit up to have ten Explorers and three leaders. The other three units have also grown over the year, and at census time we had 57 Explorers across the district, a big increase on 2015. Two of Eiger Tigers, Sam Luke and Frank Hammersley, were awarded the Cornwell Award for Meritorious Conduct after coming to the aid of an unconscious stranger on Hankley Common. Exemplifying scout values to “help other people”. Well done to both of them. Well deserved. Buddhist temple visit. Making sheath knives. Fireworks. Movie nights. Ready Steady Kebab. Pancake night. Blindfold drop night hike. Geocaching. Expedition cooking. Team challenges. Night navigation exercise. Fundraising Barn Dance. Explorers in Farnham is currently spread over three units that meet on different nights, in scout huts across Farnham, following a programme of activities that follow the slogan “everyday adventure”. 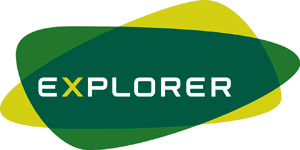 Being things you wouldn’t necessarily normally do, but that explorer scouting is giving you that opportunity to enjoy. As with most years, the highlight of the Explorer year is summer camp, and our 2014 summer camp was definitely no exception. After last year’s trip to Portugal, the Pioneiros (their name for the Explorer section) we met out there decided that having spent one day with us there, they’d like to come and camp with us for a whole week. We must have made a good impression! We had roughly equal numbers of English and Portuguese camping for a week at Broadstone Warren in East Sussex. Some forty five of us all together. We picked Broadstone Warren as it was close to Gatwick, at the last minute, their flights got rerouted to Heathrow, which wasn’t very helpful! After a day of team activities and setting up the camp, it was off to London for two days. Dividing everyone into groups, a day long photo treasure hunt took in some major tourist sites, before meeting at the Cutty Sark for a river cruise to Tower Bridge, a tour of the bridge was followed by a pub meal in Ye Olde Traditional Wetherspoons, then, very tired by now, we slept overnight on the Lord Amory, a boat moored in Docklands. The next day was full on too, with everyone off to the Olympic Park and Westfield shopping centre for a few hours, then photo stops in front of 10 Downing Street, Baden Powell House, a flying visit to the Natural History Museum, then the train and minibus back to site. The next two days were on site, with a great session on The Cube high ropes, air rifle shooting (which they don’t do in Portugal), caving, and a swim. We had a couple of evening meals cooked by mixed teams of English and Portuguese on open fires. On the last night we were all there, we had a big campfire, and swapped songs and skits. Tearful goodbyes followed in the morning as our Portuguese friends left for the airport. We picked ourselves up with a trip to a very wet Brighton, and fish and chips in the minibus. All in all, a very memorable and amazing week. We have 44 Explorer Scouts as at census time, spread across the three units, based in the Bourne, Hale, and Guildford Road. 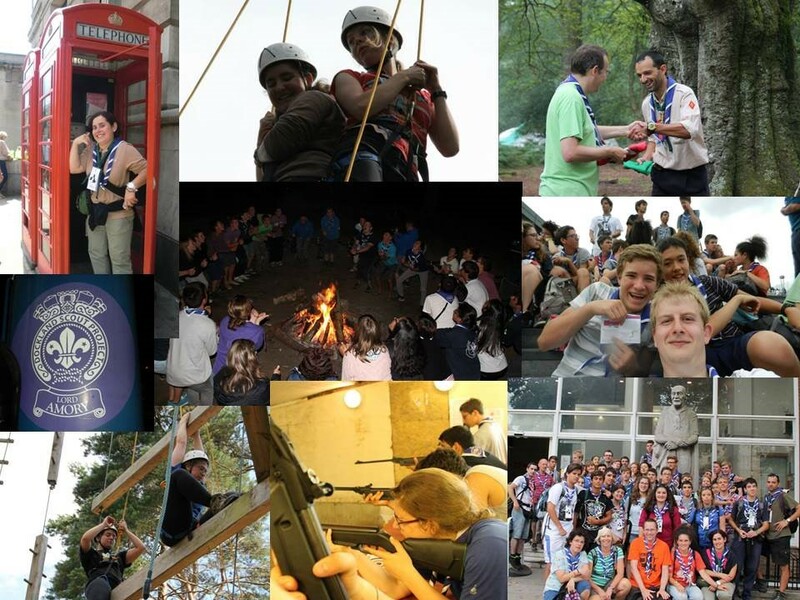 Highlight of the year was undoubtedly the summer camp trip to Portugal, our first international camp for ten years. Camping at an international campsite on the coast, 50 miles south of Porto. The weather was great, and the Explorers immersed themselves in the local culture and activities across the week, including sweet making, pottery, nature rambles, surfing, and plenty of trips to the beach. Farnham Explorers and Portuguese Pioneros having fun together. 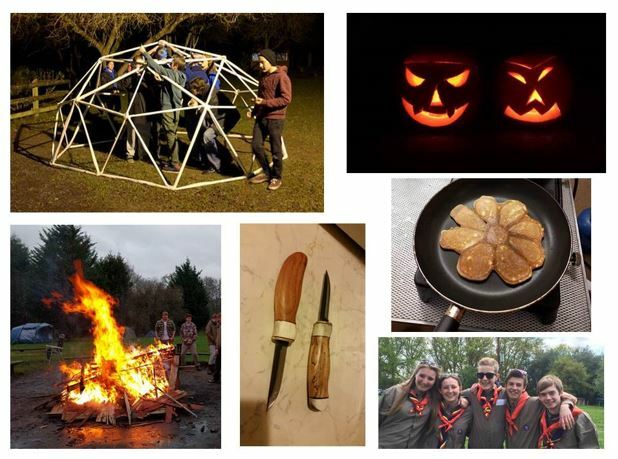 There have also been six weekend camps, including helping at Family Camp, walking in south Wales, a “Frost Camp” that got renamed “damp camp”, and Gilwell24, a 24 hour activity camp that had around 3500 Explorer Scouts from across the country on it. 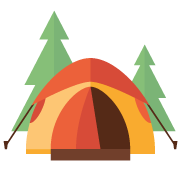 By my calculations, Explorers have had in total 338 nights away, and the leaders have given up 56 nights of comfy beds. That’s very close to 400 nights away! Bike riding, paper bag making, glue gun wielding, pancake making, tie-dying, pudding baking, car maintaining, parkouring, shooting, climbing, skiing, fireball spinning, face painting, chili growing, pioneering, canoeing, curry cooking, film watching, bag packing, ice skating, night hiking, and much much more! We have young leaders helping in sections throughout the district, a lack of an Explorer Young Leader Trainer has not helped their training (if you know anyone…), but hasn’t dimmed their enthusiasm. None of this would be possible without the fantastic Explorer leader team who certainly put in the hours, and the enthusiasm, to make all the above and more possible. They have my heartfelt thanks.